Families with children enrolled in Alabama’s K-12 public schools are footing more of the cost of public education than they were in 2007. Until now, the numbers showing exactly how much more have evaded public view. Over the next few weeks, Alabama’s state legislators will consider and ultimately determine how much money to appropriate to Alabama’s K-12 public schools. To make a fair determination, they need to know how much of the cost of public education is being funded out of Alabama’s families’ pockets. 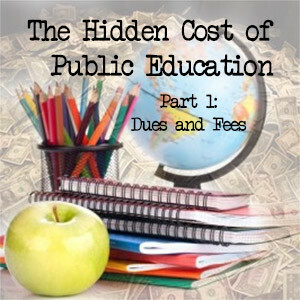 In this series, you will learn how much money and for what reasons families are paying dues and fees to educate their children in public school. “Required dues and fees”, the focus of Part 1, are those monies paid to the local school by families on behalf of students for academic reasons, including fees paid for lockers and parking and driver’s education. Monies paid for extracurricular or club activities are considered to be “self-imposed” and are not included here. Those fees are reported separately and will be the subject of a future post. According to state law, “No fees of any kind shall be collected from children attending any of the first six grades during the school term supported by public taxation” (Code of Alabama, Section 16-10-6). That has been interpreted to mean Kindergarten through fifth grade. School districts also are not allowed to collect fees for any courses required for graduation (Code of Alabama, Section 16-13-13). The definition of required courses is stated in section 16-6B-2 of the Code of Alabama: “courses which are required to be taken by every student enrolled in public schools in the State of Alabama”. Student fees (excluding drivers education) may only be charged for materials and equipment used in instructional courses, and that the fees collected may only be used in the course for which the fee was collected. Actions against the non-paying student, such as withholding grades, report cards, transcripts, academic recognitions, and graduation activities, are prohibited. 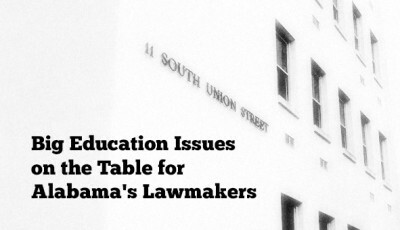 During FY13, Alabama’s schools collected $37.7 million from students for required dues and fees. 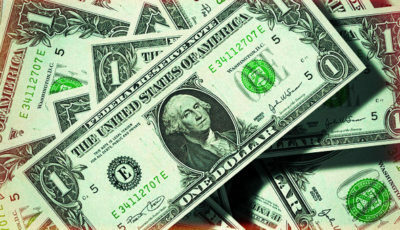 In FY07, the total amount collected was $28.3 million. In other words, out-of-pocket required fees increased 33% from FY07 to FY13. State funding for public schools provided through the K-12 Foundation Program decreased by approximately 3.5% during the same period of time. The average amount collected, on a per student basis, increased from $72.22 in FY07 to $95.84 in FY13. The map below reflects how much money is being collected in each school district for required dues and fees. NOTE: Mapping tools are not available for Chickasaw City or Satsuma City. Their district data is included in both the table and full spreadsheet linked below. Here is a table of the same data used in the map above. Click on the column headings to sort. Here’s the full Excel spreadsheet for those interested in the data. This analysis clearly indicates that overall collections of fees increased by, on average, 33% from FY07 to FY13. In some districts, those fees increased at an even higher percentage. This analysis reveals which districts are collecting more out of families’ pockets than others. In doing so, it reveals the inequality of the haves and have-nots, and how much additional money the haves are investing in their children’s education. These fees likely allow a wider range of class offerings and more access to technology and other goodies bought with discretionary funds. Most districts collecting user fees from families are city systems. Only seven of the 36 districts collecting more than $100 per grade six through 12 student are county systems. Of the 84 districts collecting more than $50 per grade six through 12 student, only 31 are county systems. Rising user fees for public education promise to increase the divide between the haves and have-nots. Is this good for our public education system? This raises the question of whether funding mechanisms are working properly in our public schools. If so, why are more and more of the costs shifting to families in the form of user fees? In Part 2 of the series, you will get a look at the kinds of user fees school districts are charging children in our public schools. The numbers used in this analysis were obtained from Alabama State Department of Education (ALSDE) financial reports for FY07 and FY13 reflecting collections reported by school districts under revenue code “7260”. 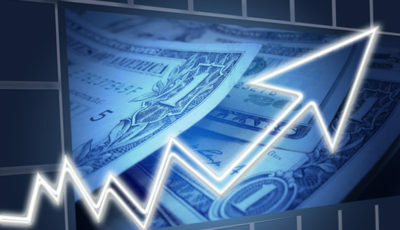 Alabama’s fiscal year runs from October 1 to September 30. Because fees are not required of students in Kindergarten through fifth grade, enrollment numbers used in this analysis only reflect students enrolled in grades six through 12 for each district. Enrollment data for the 2006-2007 school year is coupled with FY07; 2012-2013 enrollment data is coupled with FY13. 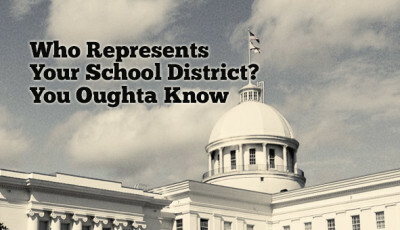 Enrollment figures were obtained from Public Data reports in the ALSDE Report Portal. Per student amounts were calculated for each district by dividing the total collected under 7260 by the enrollment figures for grades six through 12 for each year. The data used in this analysis is, of course, only as reliable as it is reported accurately by local school districts. While all school districts are required to use the same accounting codes and accounting standards, differences in reporting likely exist. It is impossible to determine whether school districts are accurately recording dues and fees that they require parents and families to pay without individually questioning all bookkeepers across all 134 school districts. Some inconsistencies are glaring, for example, Birmingham City School district had zero collections reported under revenue code 7260 for FY13. Submitting a public information request is not a method that has proved timely and fruitful, thus these publicly-available numbers are used. To school district officials: if you disagree with the numbers in this analysis, please provide full financial reports outlining transactions attributed to revenue code 7260 for FY07 and FY13. The data should include cost center, function, program and object codes and be transmitted electronically in Excel format. Data must be submitted within one week of your initial request for review. Data that is not submitted within a week of the review request will not be considered, and the review will be terminated. Requests for review must be received by February 24, 2014. Data must be received by March 3, 2014. Send requests to asc(at)alabamaschoolconnection.org. Without full cooperation and access to school personnel to answer questions and reformat data if necessary, it is possible that reviews will be unable to be completed. Wherever possible, reviews will be completed within 120 days of receiving the data if full cooperation is obtained.